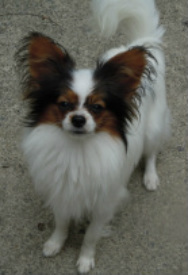 Chuck and Tatianna both have such happy and loving personalities, with very nice conformation and pedigrees. Click on parents photos to see their individual pedigree pages. Chuck has been sent back to North Caroline to live with Anita Wright at Draco Papillons. 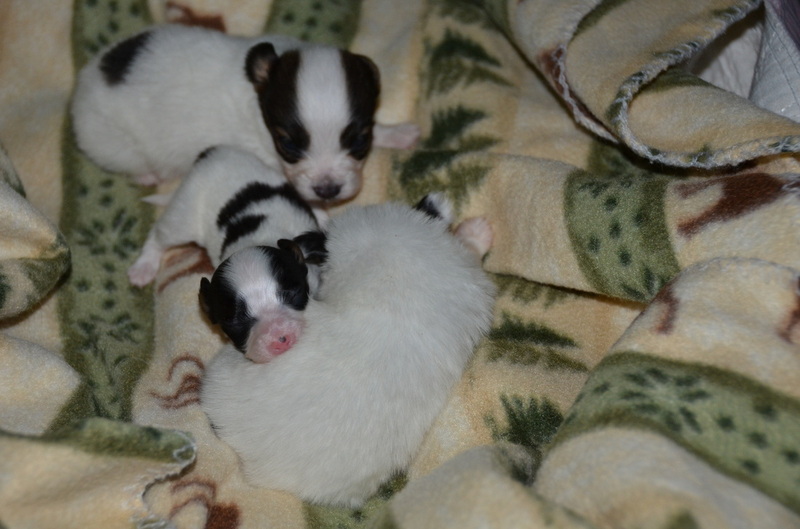 This is Tatianna's last litter since she needed a C-section at our wonderful vet and together we made the decision to get Tatianna fixed. 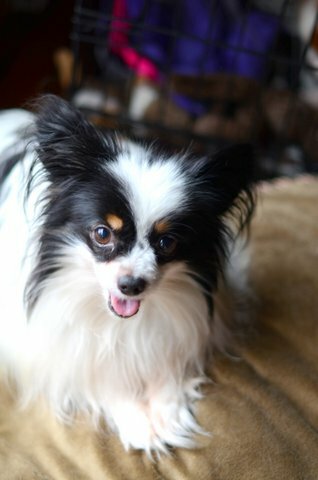 One C-section is plenty for any papillon. 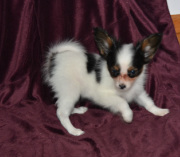 She gave us a beautiful tri color female who we are going to hold onto. 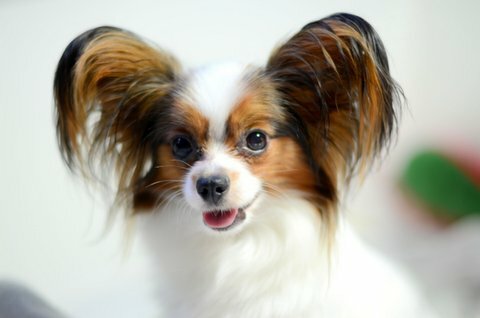 I'm feeling so blessed to have had the opportunity to work with such great Papillons who have wonderful Pedigrees. Unfortunately Tatianna's milk did not come in this time so Iris became her wet nurse and is feeding the beautiful girl. Tatianna has recovered and stitches are out. She is fixed and may possibly go to her forever home, unless we keep her because she is so darn cute. 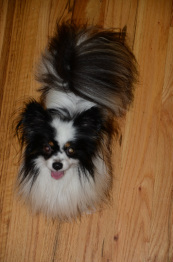 Playful Papillons has a new beginning... so we will be thinking of a name for her with that theme. Tatianna's female pup is laying with her head on Iris pups...Iris is being a great mom! 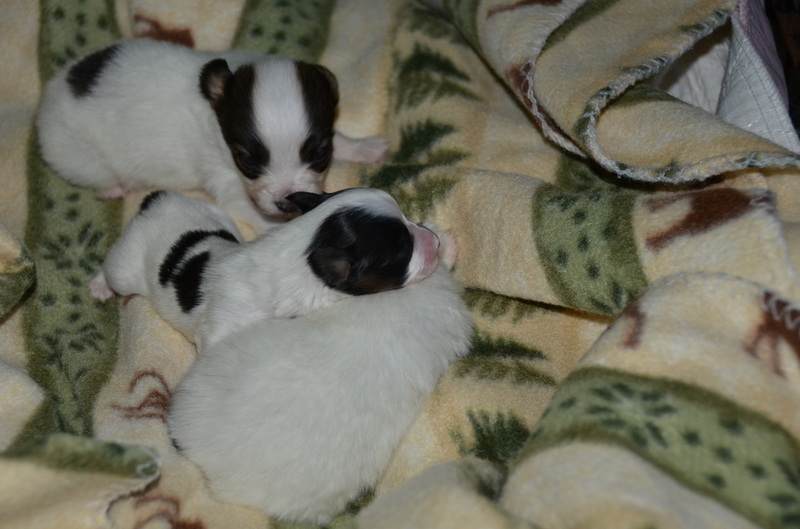 Iris puppies were born 9-16-13 and Tatianna's pup was born 9-27-13.